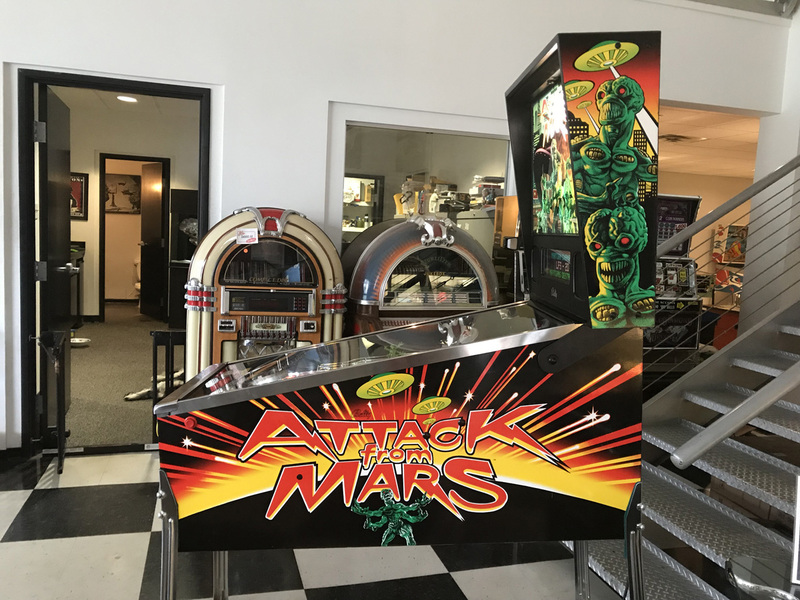 Attack from Mars Pinball Machine | Fun! 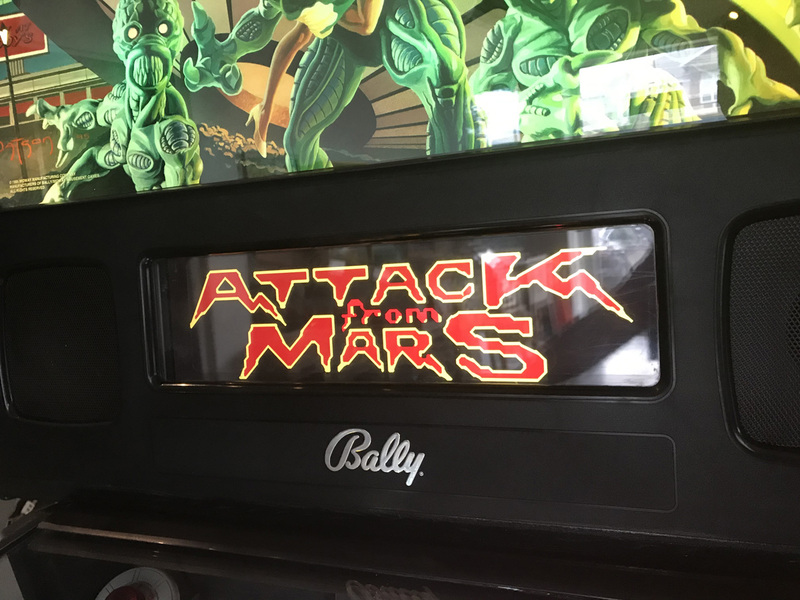 Attack from Mars is a highly collectible Bally pin. 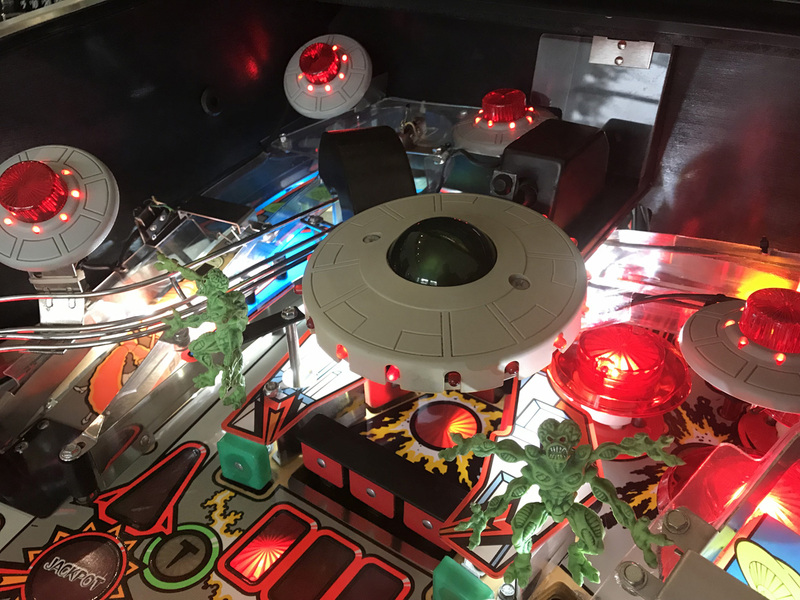 Its a great game with a combination of 1950’s B-movie style coupled with modern technology theme with the goal of defending the Earth from attacking Martians. 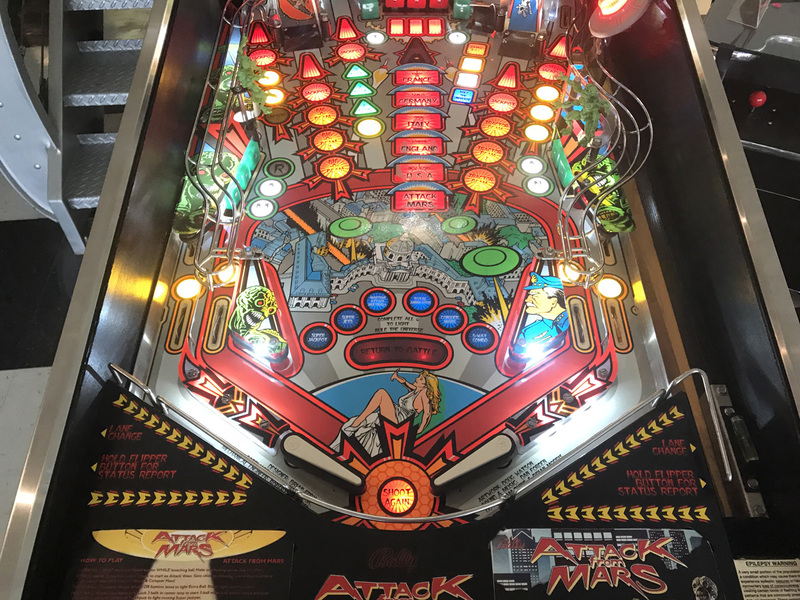 Filled with all of the modern features such as multi-ball, great sound, super skill shots and superb artwork, Attack from Mars is entertaining & challenging for all skill levels. Can you defeat all the countries and RULE THE UNIVERSE? This is an original Attack from Mars (not a remake). This game has been well taken care of and comes to us traded in from a collector. 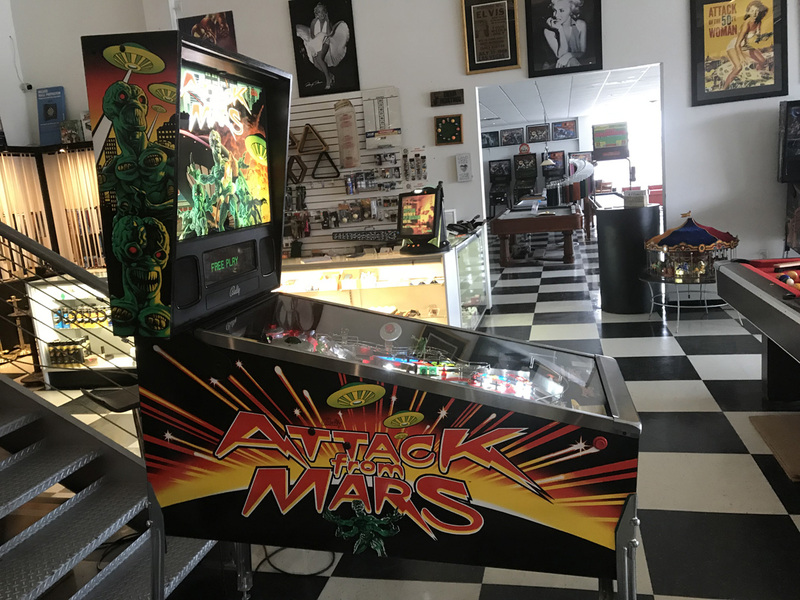 Cabinet is in immaculate condition and has had new cabinet decals professionally installed, so there is absolutely no sun fade on this games cabinet as is typical with most Attack from Mars Pinball Machines that have spent anytime near a window. No broken plastics and ramps are intact as well. 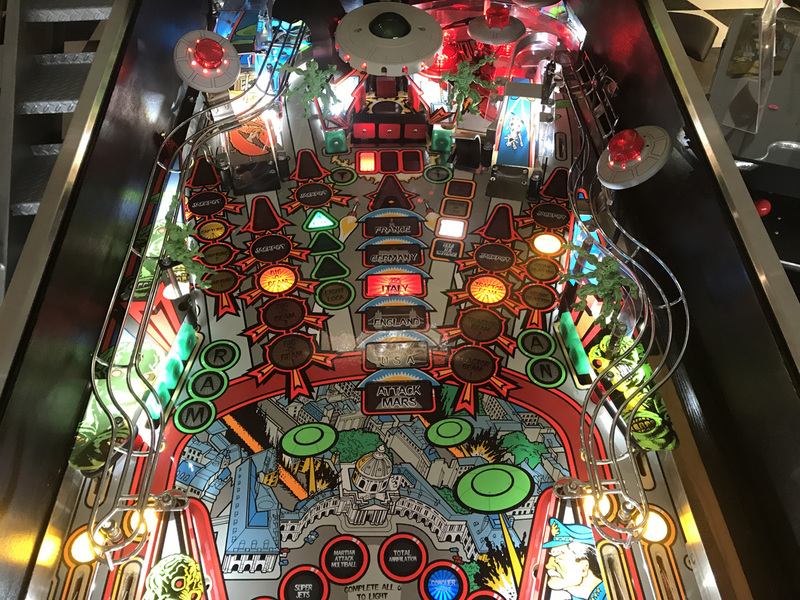 There is a small amount of edge wear around some of the inserts in the center of the playfield as can be seen in the pics as well as some wear around the “Stroke of Luck” hole (typical for Attack from Mars). 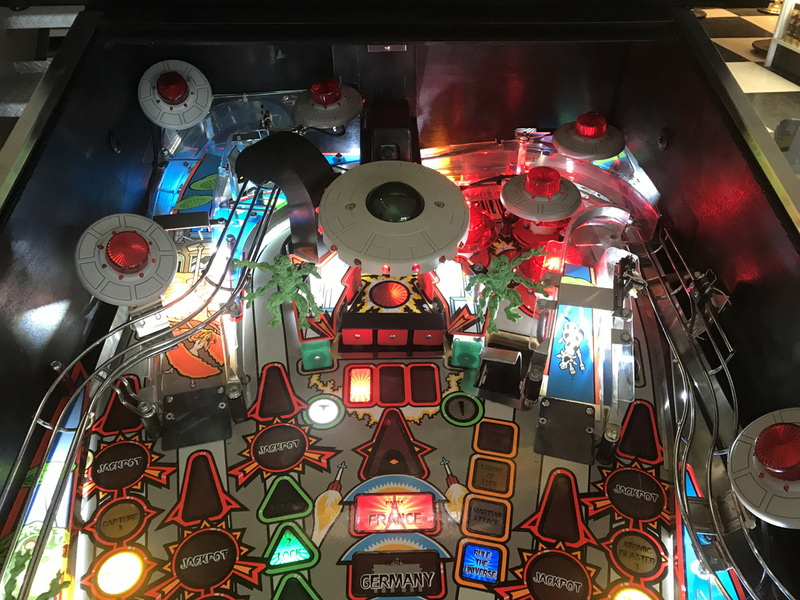 “Stroke of Luck” Hole , however a “Cliffy” Scoop Protector has been installed on this game to not only conceal the wear but to bulletproof the playfield from further damage. 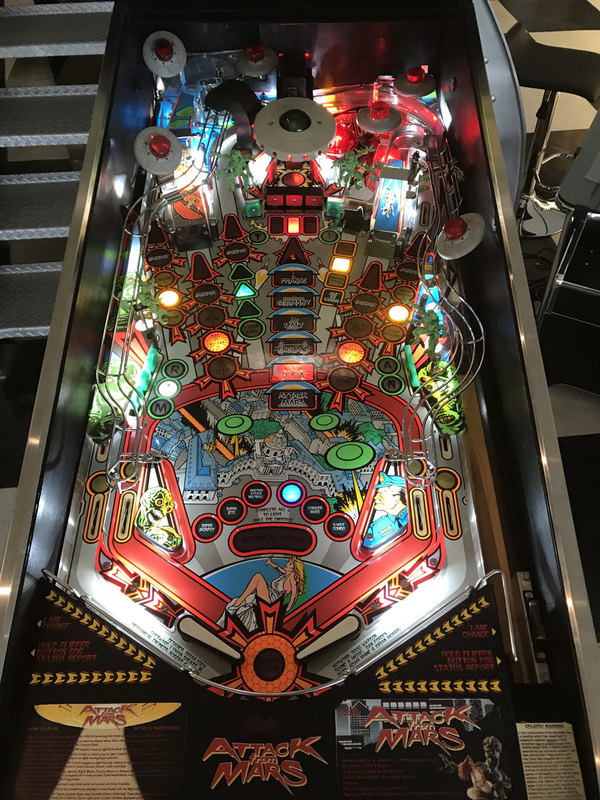 Upon taking into our possession we have fully stripped the playfield of all components and cleaned and polished the playfield. 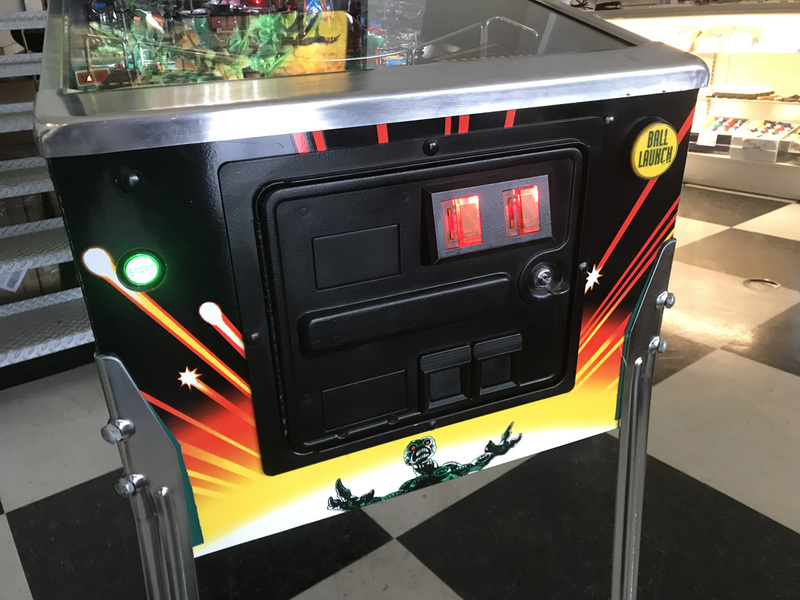 We have installed all new rubber rings and the machine has had all lamps and flashers upgraded to premium non-ghosting, high quality LED’s. This in turn looks much better, they last longer and they put less strain on the games electronics as they pull less energy. 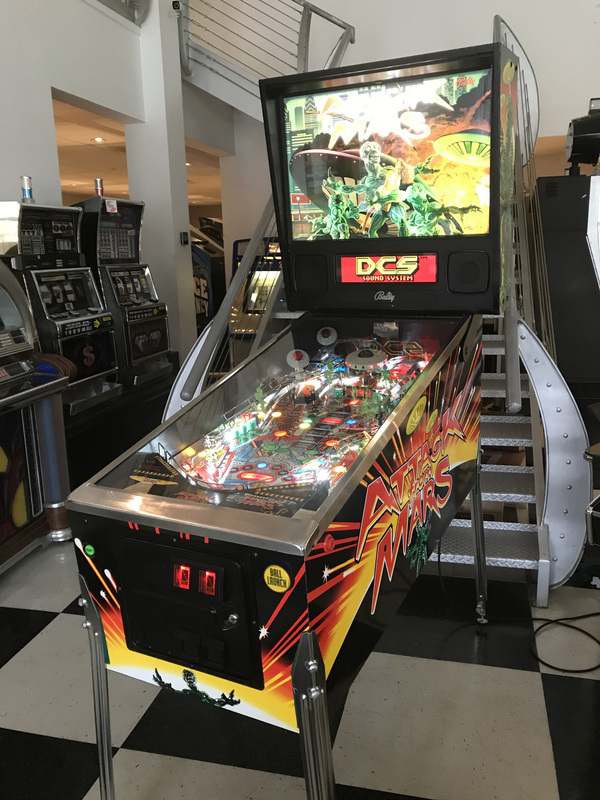 Like with all of our games, our technician has gone through this game to guarantee that all functions including all switches, lamps and assemblies are working 100% as they should. 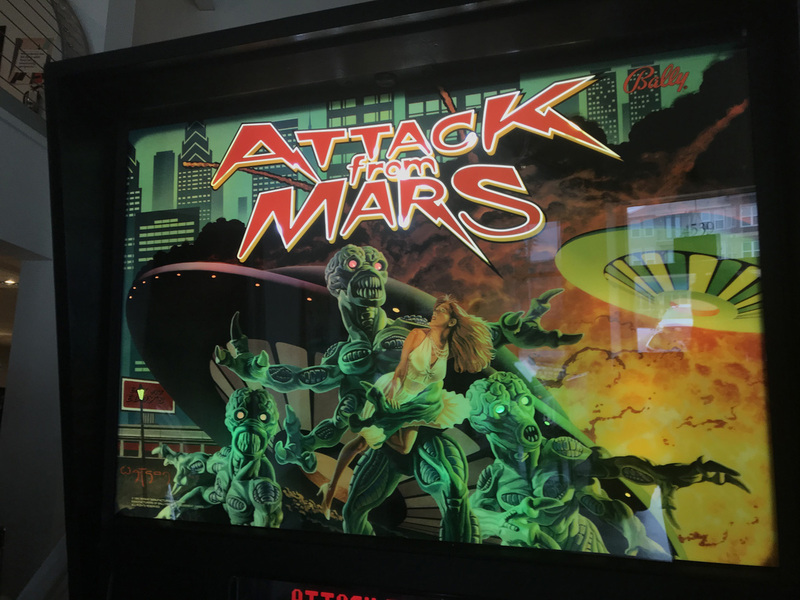 Finding nice, original, non-remake, Bally/Williams games such as this Attack from Mars are becoming hard to find. Hurry as we don’t expect this to last in our inventory very long.